BANGLADESH. Asulia. 2010. 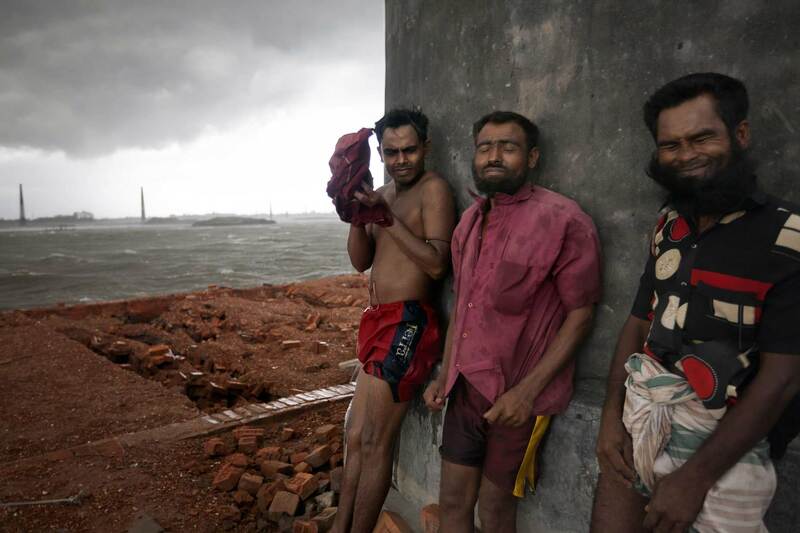 As a storm squall hits, brick workers take shelter from the driving winds behind a smokestack.